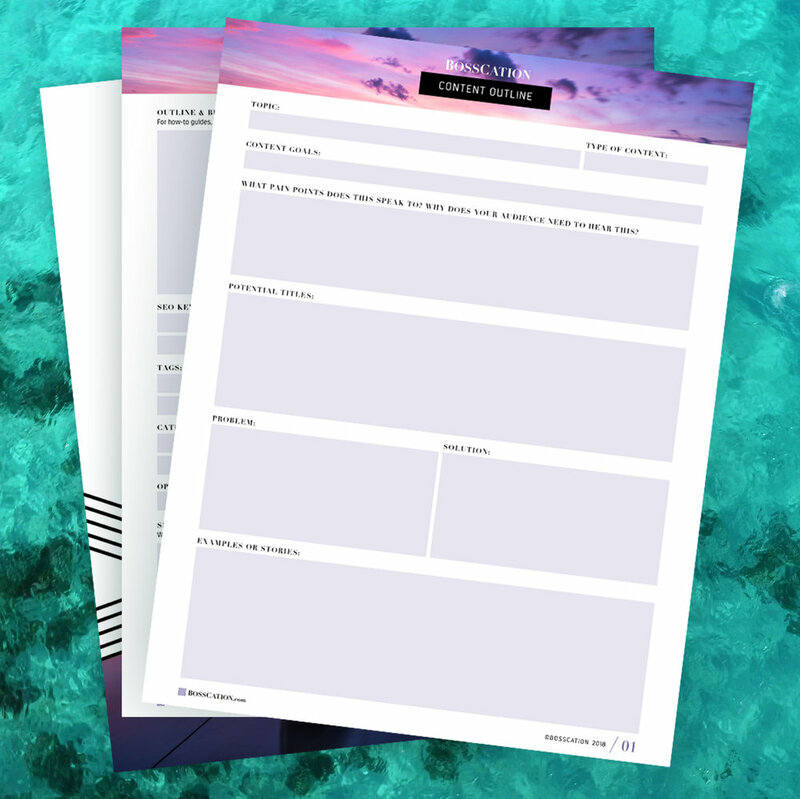 Our Bosscation guides and resources help you clarify your ideas, build your passion projects and strategize your success, without being overworked and overwhelmed! "This workbook is like 80+ pages of seriously creative, challenging, brilliant questions and exercises. Having such an in depth, organized resource to go through page by page was huge for us - we would have been lost and wasting so much time without it! I can't say enough about how valuable this was — a real game changer for us in our biz! We would not have taken such quality time to focus on ourselves or our biz without the Bosscation experience, so THANK YOU!" Ready to take control of your business? Grab one of our top freebies! Determine your unique selling point so you can stand out against the competition. Prepare your blog posts, videos, newsletters and podcasts with ease following our simple content outline. Prepare for a Bosscation by planning out your logistics and setting goals so you can work ON your business without distractions.